Ewerk is one of the most famous event locations of Berlin which has also earned a high international reputation. 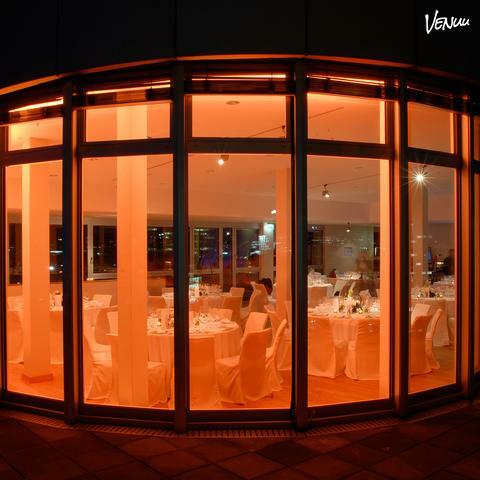 The venue contains versatile events spaces that can be optimally adapted to individual requirements, which means that we offer our customers facilities size and style of which are highly flexible. 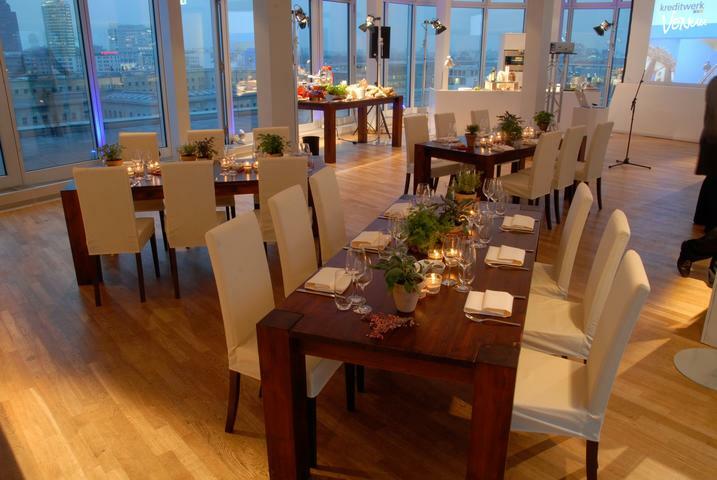 We have event space that is suitable for virtually every scenario – space that is always a cut above standard offerings. The Sky Lounge at the venue's roof is certainly ewerk's highlight. It offers a spacious rooftop terrace and a modern lounge bar. From this vantage point, the visitor is granted a wonderful 360 degrees panorama view from 35 meters above Berlin’s city center. The terrace outside the lounge allows guests to enjoy the lovely summer weather, while the lounge is an exciting venue for stylish events for up to 200 people. Whether it‘s a summer party or Christmas celebration, it’s always fun to celebrate in an amazing environment like this! The Sky Lounge is both in and outside. The East patio is approx. 330 m2, the west patio approx. 80 m2. The interior of the lounge is in two floors, both floors contain about 130 m2. 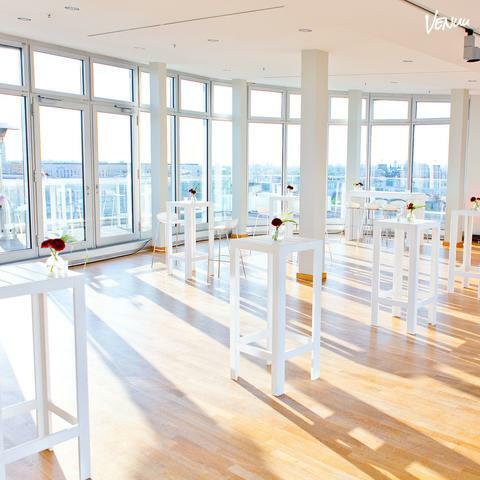 Venue rental of EUR 5.000,00 net skylounge / per event day (half price for setup and dismantling days).